Last Wednesday 2n ESO students walked around Girona discovering some pieces of art in the street. 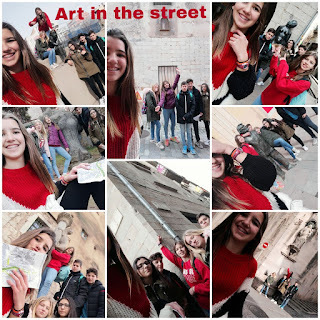 They took some “selfies” to different graffitis, sculptures and monuments. Have a look at their collages!